For Half Moon and many of the back-bending postures, we use 80/20 breathing. Inhale 100 percent and hold the breath just for a moment. As you move into the posture, begin 80/20 breathing, inhaling and exhaling only 20 percent of your lung capacity on each breath, keeping 80 percent in your lungs. Generally, inhaling as much as you can–and then using 80/20 breathing– is an excellent chest exercise any time you do backbends (whether standing or belly-down). It works well in any posture in which it is natural to thrust the chest out. The lungs are amazing. Sadly, they are also often underappreciated and under-used. When fully expanded, the lungs can hold 1.5 gallons of air. In total, the lungs contain roughly 1,500 miles of airway. Their surface area is about the size of a tennis court. In normal every day breathing, an adult inhales and exhales about 15 times per minute, moving only about 15 ounces of air with each breath. 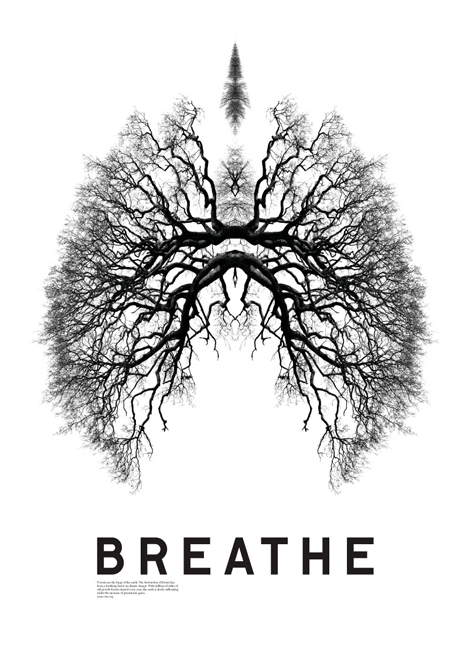 80/20 breathing (as well as Pranayama and Kapalabhati) can help you learn to open and use your lungs more effectively. It’s worth it! The ability to quickly inhale a generous amount of air is a great predictor of longevity. ← Thank you, Mary Jarvis! You breath you live !